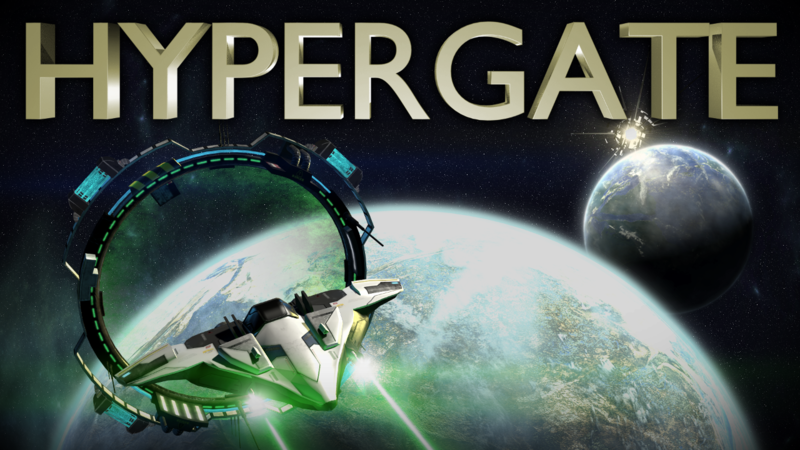 I'm a part-time indie game developer, and Hypergate was developed over the course of five years. One of my main goals was to create large, beautiful space battles that would run even on older hardware, so everyone could enjoy them. My other goal was to build a game that was fun and fast-paced, with a high level of replayability. There was always a solid vision for Hypergate---in order to ensure that my vision came across, I developed the script and all game assets (except the musical score) single-handedly. I also wrote a custom game engine specifically for Hypergate over the course of its development. This ensured that graphical performance was optimal for weaker hardware. Plus, it's fun to build things from scratch! Over the course of five years, the game took shape and went through several rounds of play-testing with both friends and professionals in the game industry. Since its release, it has enjoyed positive reviews and has begun building a solid community base. If one thing is clear, it's that the community enjoys the game and would love to see even more content! For this reason, and because I really enjoy this project, I'm currently working on additional expansion content for Hypergate. "...a pure delight...fun campaign, with tons of enemies to kill." More information on Geoff Nagy, our logo & relevant media are available here.